Morel mushrooms are avidly hunted each spring after the first frost by a legion of gourmets and "schroomers" who appreciate the applications of morel mushrooms, especially for French recipes. The mushroom grows up to 4 inches high and the top of the morel mushrooms have a bumpy appearance. The distinctive and meaty flavor of the morel leads many to growing the morel in a home garden instead of foraging in the woods on the chance of locating morel mushrooms. Home gardening of the morel requires a lot of effort and attention, and the first crop takes up to two years to grow. But many home gardeners are taking on the challenge. 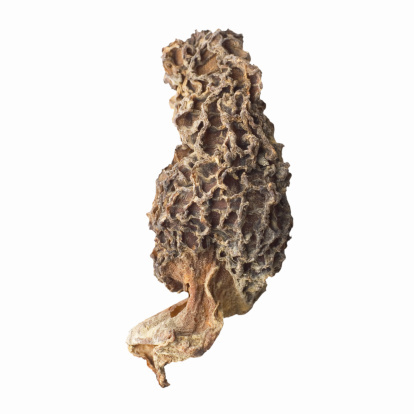 The morel mushroom is sought after by mushroom hunters and gourmets each season. Locate as flat an area as possible with sandy loam, well-draining soil at the base of naturally occurring hardwood trees such as oak, poplar, ash, maple, etc. Burnt, dying or dead trees indicate a good area for the mushroom patch. Locate the mushroom patch where it receives full sunshine at least during the morning hours with shade in the afternoon. Designate a patch of ground about 5-by-10-feet square to grow the mushrooms. Morel mushrooms require lots of care and anything larger is difficult to maintain. Fence in the mushroom patch with chicken wire to protect it from foot traffic and animals. Till the ground at least 1 foot deep, working in chipped or shaved hardwood, straw, compost or sawdust as the mushroom draws nourishment from the decaying wood. 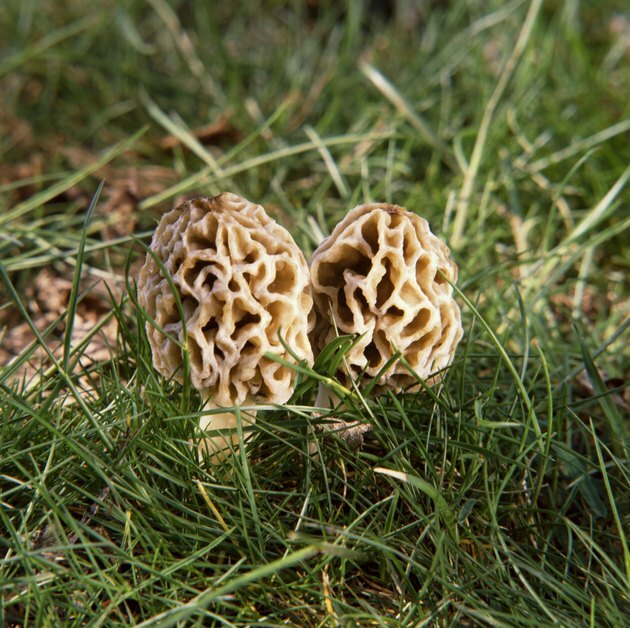 Plant morel mushrooms in early spring after the last freeze for best results. Spread mushroom mycelium, available from garden centers and online sources, evenly on top of the soil, and cover with another 6 to 8 inches of wood chips, sawdust, straw or compost. Water the soil with a fine spray immediately after planting until the soil is moist to a depth of 6 to 8 inches. Thereafter, water the mushrooms whenever the soil is dry to a depth of 4 to 6 inches. Do not over-water, and take into account any rainfall that may occur.